In other words, morality is not as clear cut as we would sometimes like it to be, and the right thing may seem wrong, or wrong things may seem right. 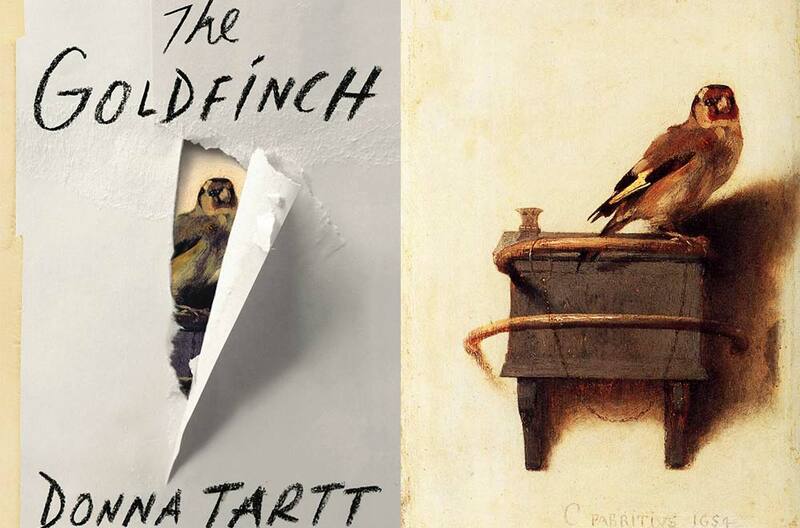 I want to say, predictably, it all comes good in the end in The Goldfinch but in unexpected ways. Quick bit of plot: Theo Decker’s mother dies, he ends up uprooted from New York to Las Vegas with his father, an alcoholic (but dry, now addicted to drugs) gambler, who also dies, and then ends up back in New York. In Vegas, he meets another neglected boy, Boris, and they support each other, becoming addicted to alcohol. After his father’s death he moves back to New York and stays with a furniture restorer, Hobie, to whom he found his way after the bomb in the museum experience that caused his mother’s death (where he also stole a picture, encouraged by the dying man who sent himto Hobie with his ring). Lots happens, mostly people suffer or die and Theo takes all sorts of drugs, but in the end, Boris helps him sort out the picture theft once and for all, and following a tip off to the police by an associate, they end up with the handsome reward for the return of several art works. Boris, at the denouement, makes the point that good things sometimes produce bad results, so bad things can also produce good results. In other words, he may have stolen the painting from his only friend Theo (I forgot to mention this – there’s an awful lot to this plot!) but in the end they have resolved the issue of the stolen painting (Theo had worried about it, having not intended to steal a painting, and not knowing how to return it) and made them money in the process. A more interesting analogy he makes, is that sometimes good and bad is a bit like the weather: there is a bigger picture, but you can’t always see it. Sometimes people call this picture God, some people call in coincidence, but he thinks it is there. Hobie, when Theo eventually gives him the whole story, talks about how we become attached to objects: they embed themselves into the narrative of our lives. His business partner who encouraged Theo to take the picture had become attached to it in replica form as a young boy. Hobie thinks that we may need the beauty of individual objects in order to tap into a higher order of beauty. And lastly, Theo’s father, addicted to drugs and gambling, believes that sometimes you have to lose to win. I had mixed feelings about this one. Either way, thanks for sharing the awesome review! If you’re ever interested in some other great book reviews and musings, be sure to follow! Thanks! What were your mixed feelings caused by? I hate to admit it, but primarily the length. There was little to no progression of character. To me it just felt like a day in the life of some deplorable people. I can see where you’re coming from with the progression of character. The characters don’t seem to change much with all that happens. But if that was all in a day… phew! I thought an awful lot happened, so it kept me going even though it was long. In fact, so many reading hours of entertainment made it great value for money too (not that I bought it – well I did, but as a present for my mother – and then I borrowed it back)! I found the characters strangely endearing even though some of the things they do are clearly deplorable. It was certainly rich. I just thought there are other books out there with the same stylistic tendencies that are better. Either way, thanks for reading! Good to hear your thoughts. Thanks for commenting!